One would think that in a monastery, of all places, this would be like falling off a log. After all, this is the brass ring, the goal of the round of spiritual practice and everything we do all day, whether in the monastery church or outside of it. What we are after is the integration of the human person, where everything is present and accounted for, where what is good is gratefully rejoiced in, and what is still broken is nonetheless borne with patience and equanimity—everything in an open-eyed balance that is more and more in accordance with the love and will of God. Yet there is in us something which militates against this movement. So often our own interior wrathfulness cannot allow us to rest or be satisfied even on the most superficial bodily level. And that the conditions under which we pray, or the companions with whom we pray, aren’t specially tailored to our atmospheric preference makes all this an arena of challenge and cost: here come the lions—or the mice—it doesn’t much matter which. Rehearsing our interior discontent during time ostensibly given to prayer renders us unavailable for the graced moment when mind, heart, voice, and awareness are on the same page. So we get to live the real-life version of the dilemma at the heart of the film “Groundhog Day”—every day the same thing, the same way, at the same time, for the Holy Spirit is lovingly relentless—and against this backdrop we get to practice, endlessly, our intentioned response. 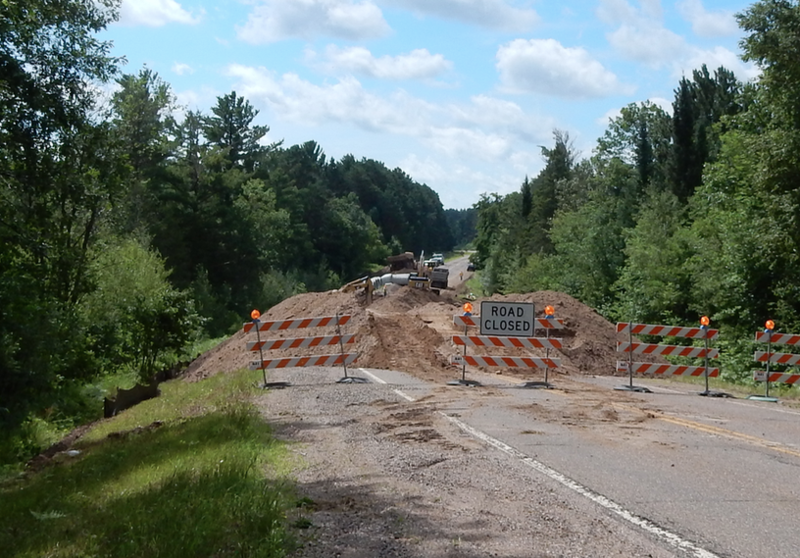 Replacing culverts on Highway 55 this week.